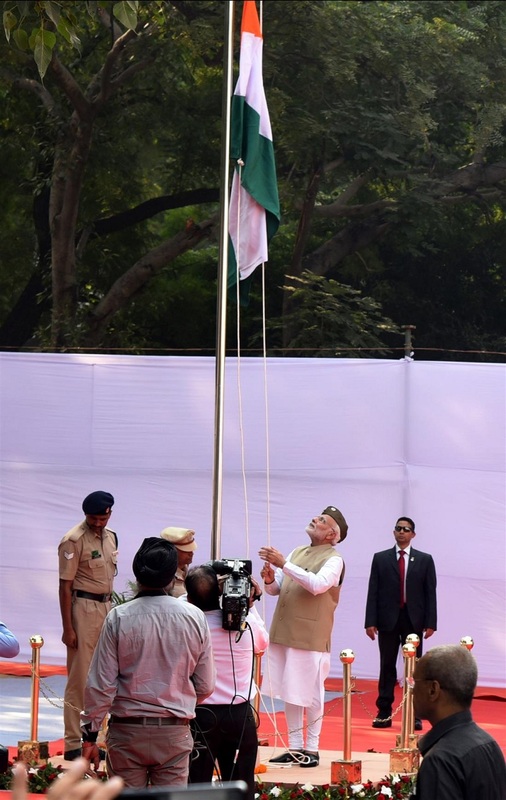 Prime Minister, Shri Narendra Modi, today, hoisted the National Flag at Red Fort, to commemorate the 75th Anniversary of formation of Azad Hind Government, formed by Netaji Subhas Chandra Bose. It was a privilege to hoist the Tricolour at the Red Fort, marking 75 years of the establishment of the Azad Hind Government. By setting up the Azad Hind Fauj and the Azad Hind Government, Netaji Subhas Bose showed his deep commitment towards a free India. All over the world, people took inspiration from Netaji Subhas Bose in their fights against colonialism and inequality. Subhas Babu always took pride in India's history and our rich values. It is unfair that in the glorification of one family, the contribution of several other greats was deliberately forgotten.